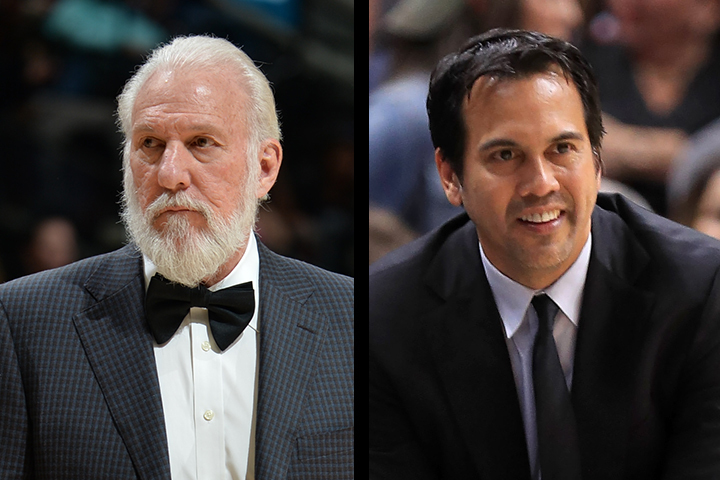 NEW YORK –The Miami Heat’s Erik Spoelstra and the San Antonio Spurs’ Gregg Popovich today were named the NBA Eastern and Western Conference Coaches of the Month, respectively, for games played in February. Spoelstra led the Heat to an 8-3 record, the second-best mark in the Eastern Conference, as Miami played only four games at home (3-1) and seven on the road (5-2). Miami won its first five games in February to extend its winning streak to 13, the longest in the NBA this season and the third-longest in franchise history. The Heat also won three of its final four games of the month, with each victory coming against a team currently in position to make the playoffs (Houston Rockets, Atlanta Hawks and Indiana Pacers). For the month, Miami ranked third in the East in scoring (110.3 ppg) and second in points allowed (101.6 ppg). Popovich guided the Spurs to a Western Conference-best 8-2 record in February, going 6-2 on the road and 2-0 at home. San Antonio closed the month with four consecutive victories, all on the road. When the Spurs defeated the Denver Nuggets 121-97 on Feb. 4, Popovich recorded his 1,128th victory as San Antonio head coach and passed former Utah Jazz head coach Jerry Sloan for the most wins with one franchise in NBA history. With a 110-106 victory over the Indiana Pacers on Feb. 13, the Spurs set an NBA record by clinching their 20th straight winning season. 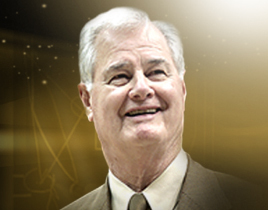 Other nominees for the NBA Eastern and Western Conference Coaches of the Month were Boston’s Brad Stevens, Cleveland’s Tyronn Lue, Detroit’s Stan Van Gundy, Golden State’s Steve Kerr, Houston’s Mike D’Antoni, Memphis’ David Fizdale, Oklahoma City’s Billy Donovan, Utah’s Quin Snyder and Washington’s Scott Brooks.